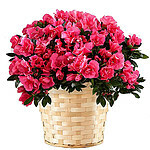 Your arrangement includes 1 potted hot pink azalea plant (16-18") in a woven basket. 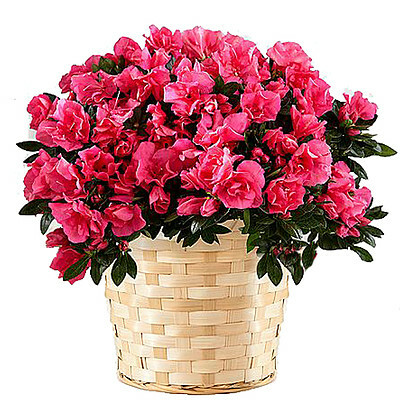 Our beautiful dark pink azalea makes a stunning gift or addition to your home décor. Gift is approximately 16-18 inches tall. Gift includes a standard 6” diameter woven basket at no additional charge. Azalea arrives ready to bloom and will include care instructions.